Can anything good come out of Nazareth? … Well, yes! After our visit to Sepphoris we travelled the four miles to Nazareth, the home town of Jesus as he was growing up. Nazareth was apparently never an important site in Jewish history; it is not mentioned in the Old Testament or rabbinic literature, though Jews certainly lived there in Jesus’ time. The first reference is in the New Testament (John 1:45) and even there, the town is referred to in a negative way. Today Nazareth is a place of contrasts, such as modern buildings that protect and house the past, and ancient Byzantine and Crusader churches coexist alongside modern churches and mosques, and even the past exists in the present. We stopped at “Nazareth Village” – a living museum. It is a place where people from all over the world can come and get a small taste of what it would have been like to live during Christ’ time; as it brings to life a farm and Galilean village, recreating Nazareth as it was 2,000 years ago. Nazareth Village allows you to see, hear, smell, touch and experiences the daily life of the first century. You are greeted by costumed “inhabitants. You can see women spinning, drawing water and baking bread, and men tilling the soil or harvesting, and herding sheep and goats. 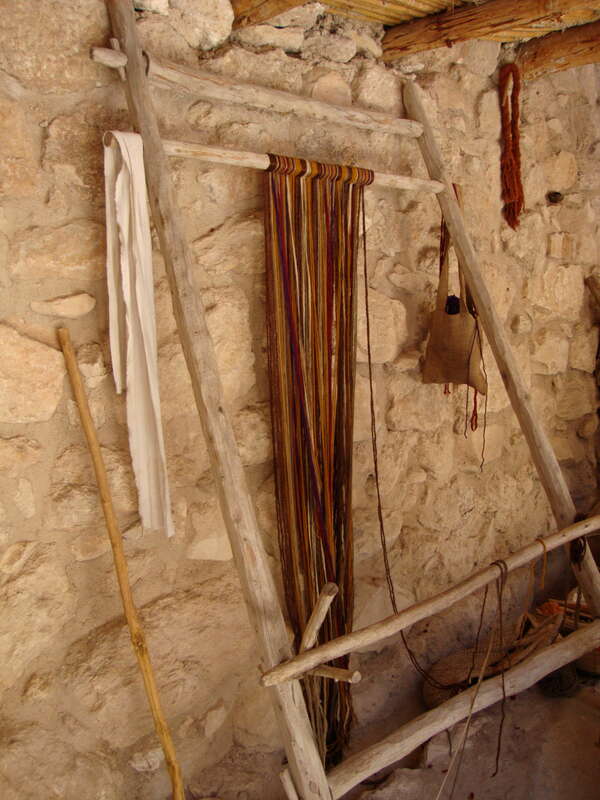 An entire house has been reconstructed, along with a synagogue; similar to one in which Jesus would have preached in this very town (Luke 4:16-28), a watchtower, a threshing floor, and an olive press built from a 1st century design using 1st century methods. The amazing thing I discovered about this place was this – some of the people who dress up and tell the stories are Muslims; the site is visited by Jews as well as Christians; and all find something there. So if ordinary people can work together to build something that links us to a common past, surely it is possible for them to work together to lead us into a shared future. After lunch we visited the Basilica of the Annunciation, the largest church in the Middle East. The Church is a modern Catholic church built over the remains of Byzantine and Crusader churches; parts of which are still visible. Around the courtyard surrounding the church are paintings from all over the world depicting the Madonna and Child. Within its walls is enshrined the home/cave in which, traditions holds, Mary received the news from the angel Gabriel that she would give birth to Jesus. It is an impressive, beautiful church and I thought the stained glass windows were stunning. 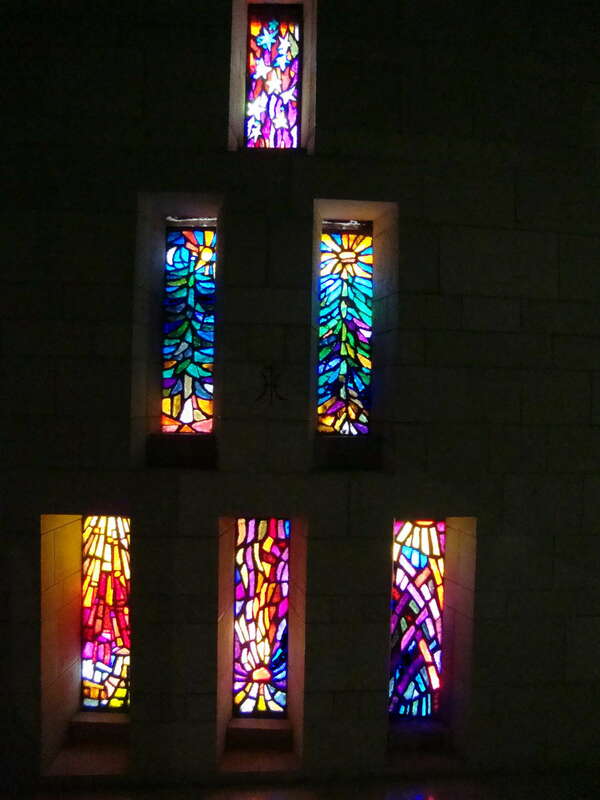 I sat for moment in the silence and enjoyed the beauty of the multicoloured light reflecting off the windows onto the floor of the church, and I marvelled at how talented and creative people are, and I thought of the true Light of the World. Visits to the Church of St Joseph, the Synagogue Church and St Gabriel’s Orthodox Church finished the day and we were reminded by our guide that Nazareth, now a mainly Muslim city, contains over 30 Christian churches, convents and monasteries that bear witness to the fact once there were many more Christians living in the area.